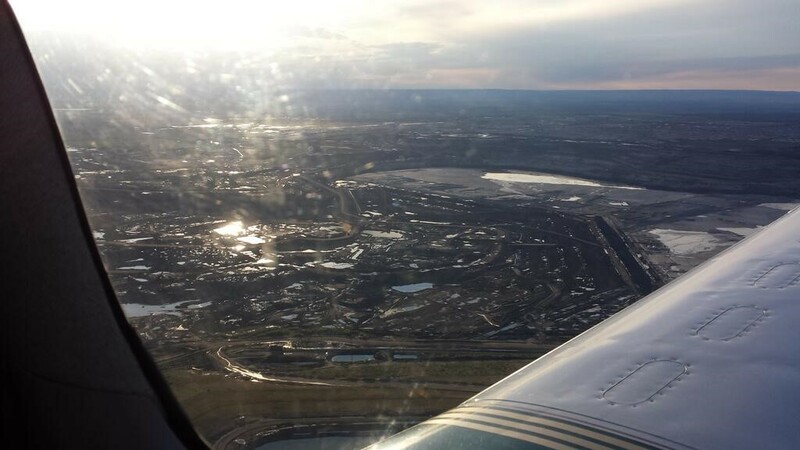 My journey to Alberta to learn more about the Oil Sands. 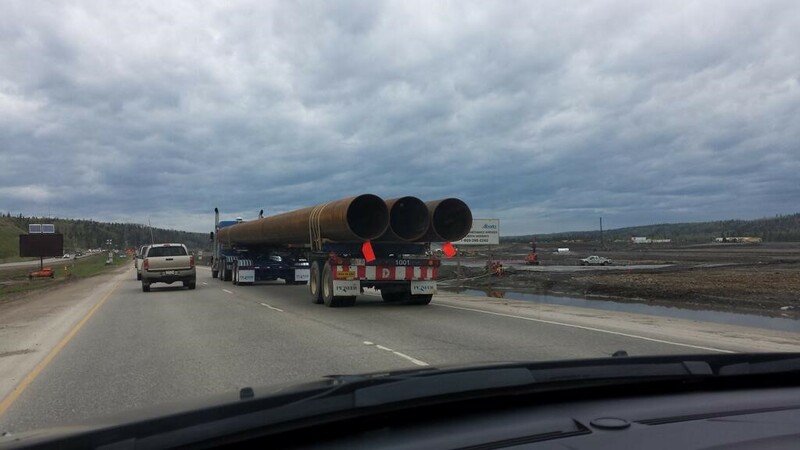 Pipeline segments heading north into the Oil Sands. 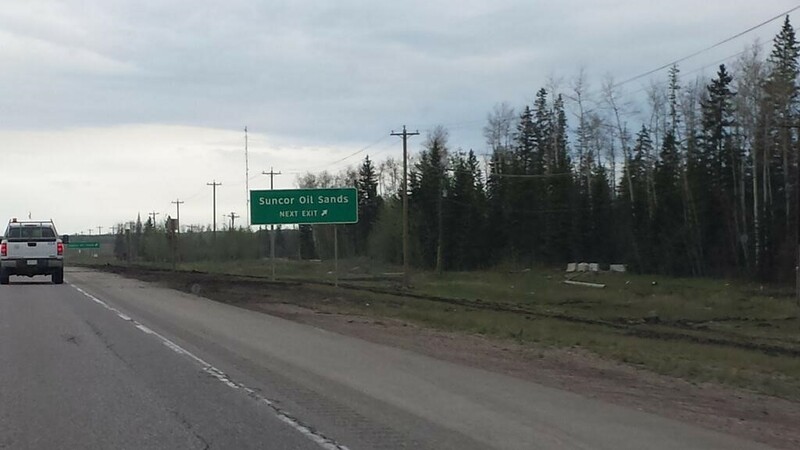 North of Fort McMurray, highway exits are marked by mine names. 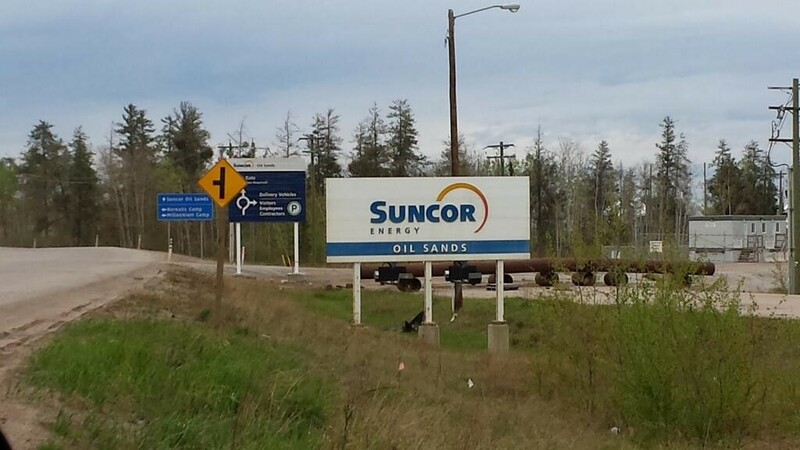 Next stop, Suncor. 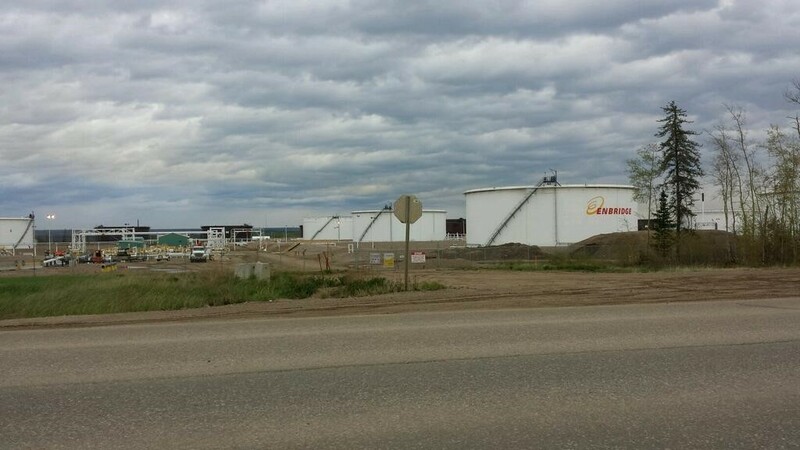 Enbridge storage tank facility near Suncor operation. 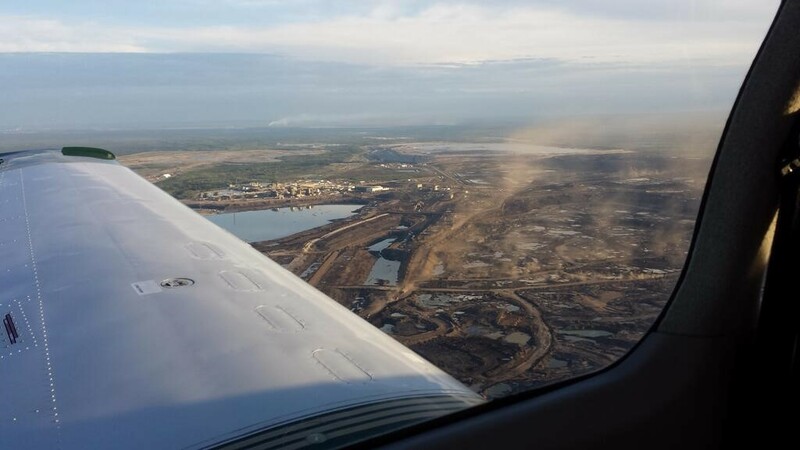 Suncor Oil Sands Operation north of Fort McMurray. 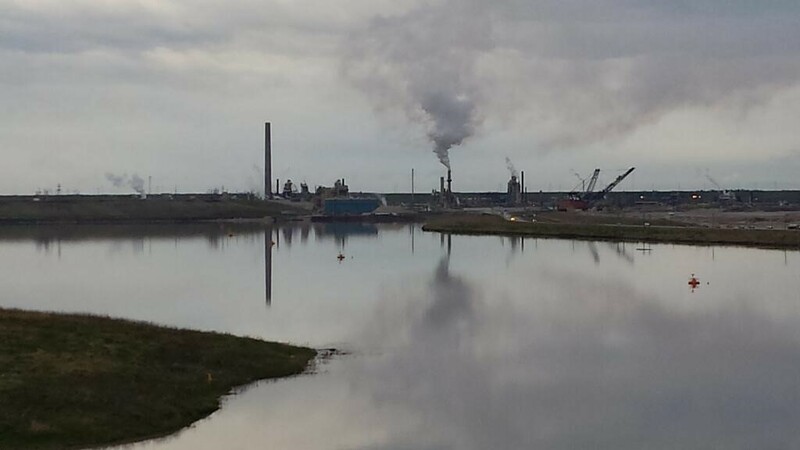 Syncrude operation from other side of the East Mine Reclamation zone. 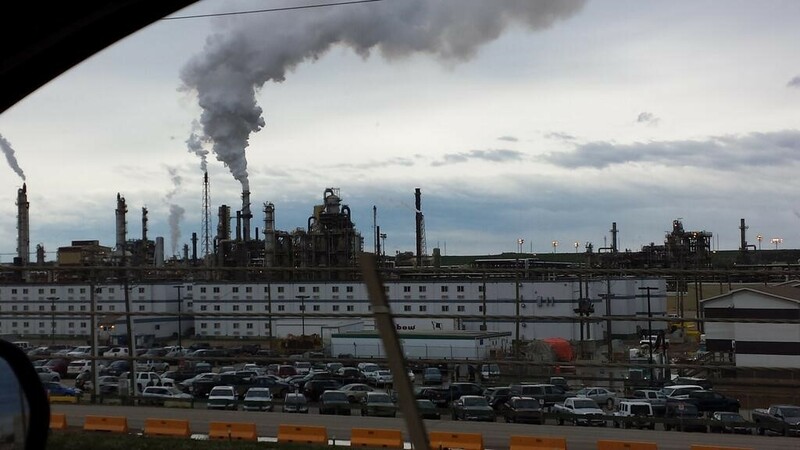 Employee housing next to Suncor facility. 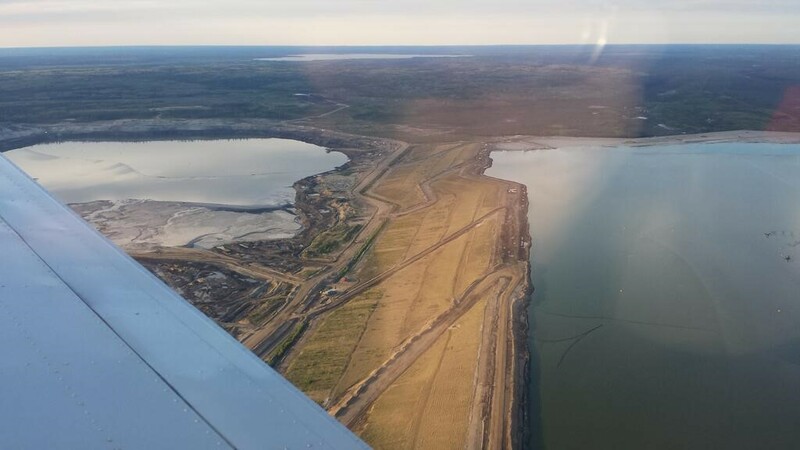 Syncrude Oil Sands operation from across tailings pond. 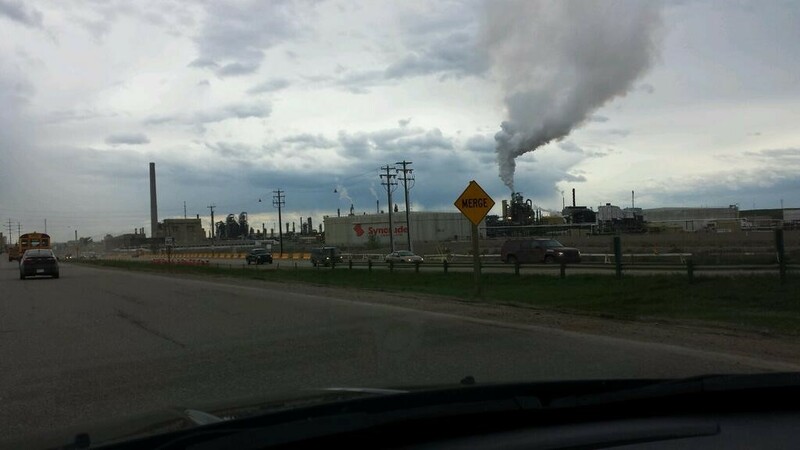 Syncrude plant to the left. East mine on the right. 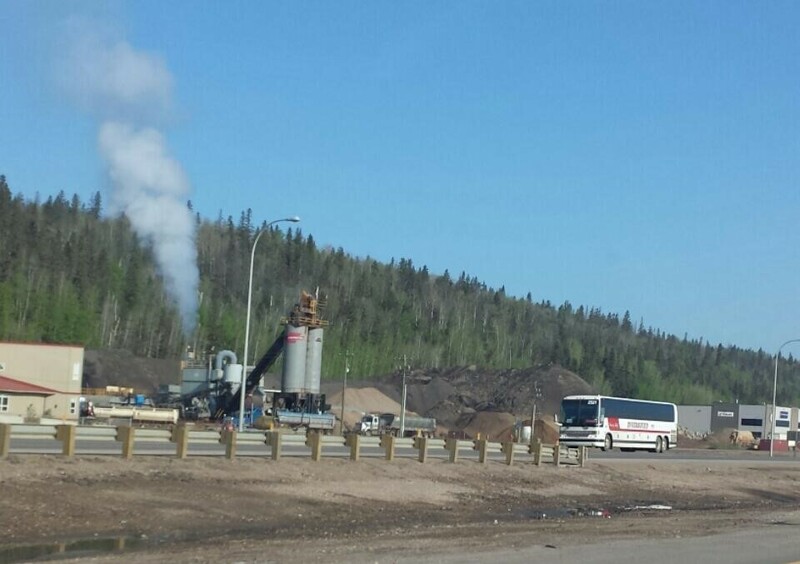 One of hundreds of coach buses taking employees to Oil Sands. 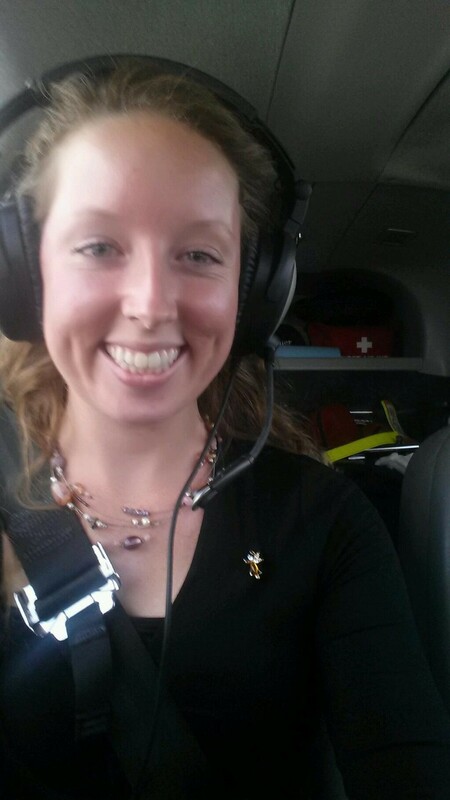 Set for takeoff in a small prop plane. The scale of this project is so immense, it is impossible to comprehend. Notice the fragmentation of the land. 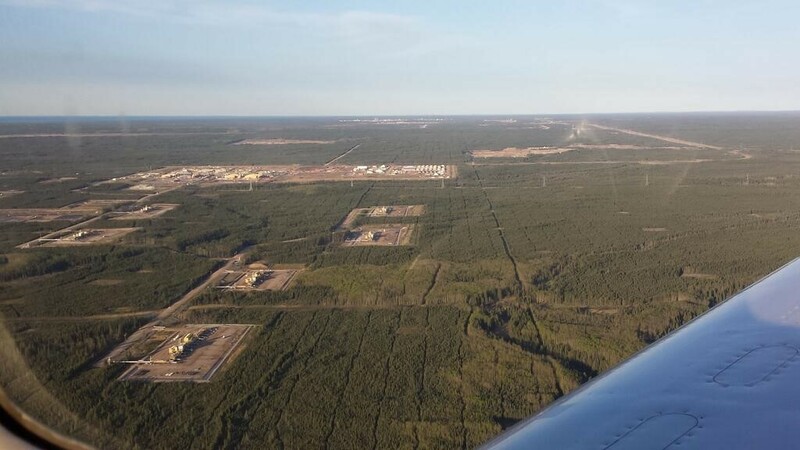 This is Steam Assisted Gravity Drainage (SAGD) in the OilSands. 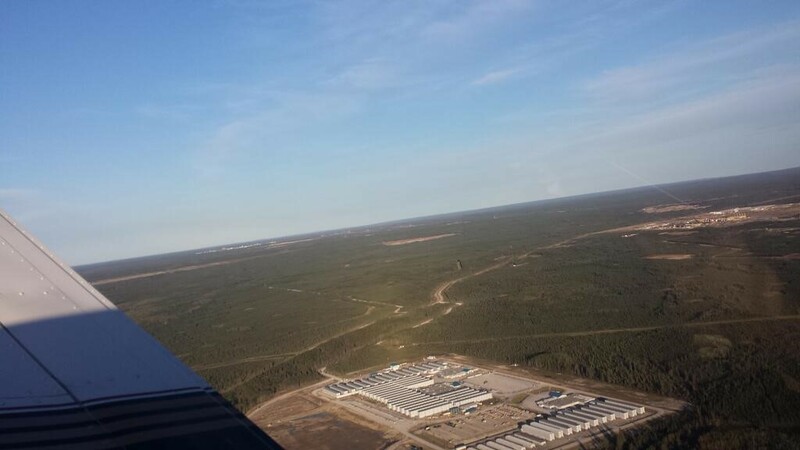 Another perspective of SAGD. 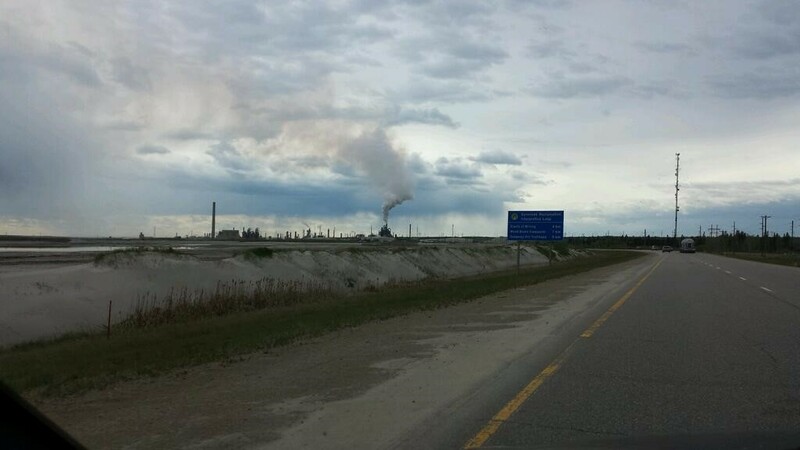 Cleaner Oil Sands? Although less visually destructive, this method is death by 1000 cuts. 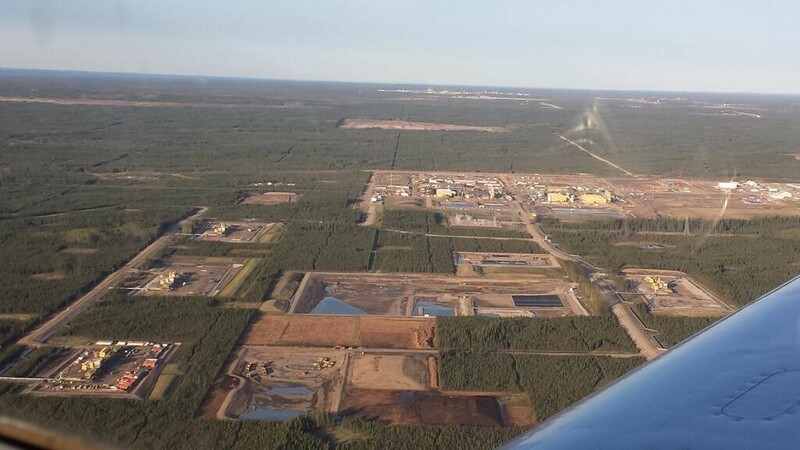 More SAGD operations from my flight over the Oil Sands. 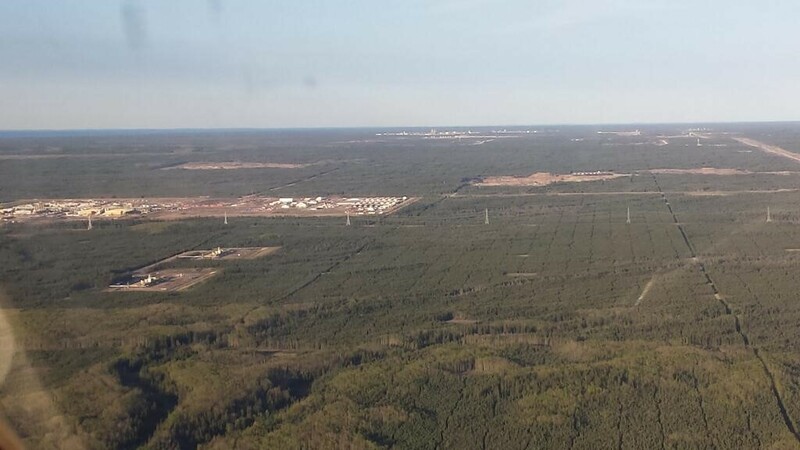 Oil Sands worker camps. Thousands of people live here. 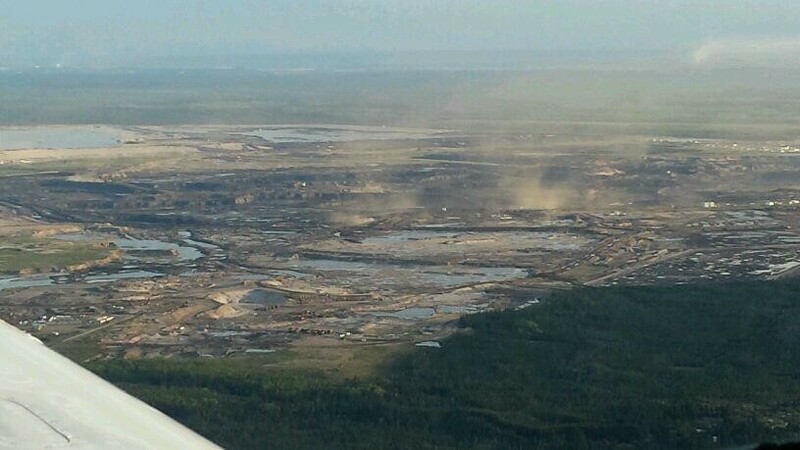 One of the Oil Sands open pit mines from above. 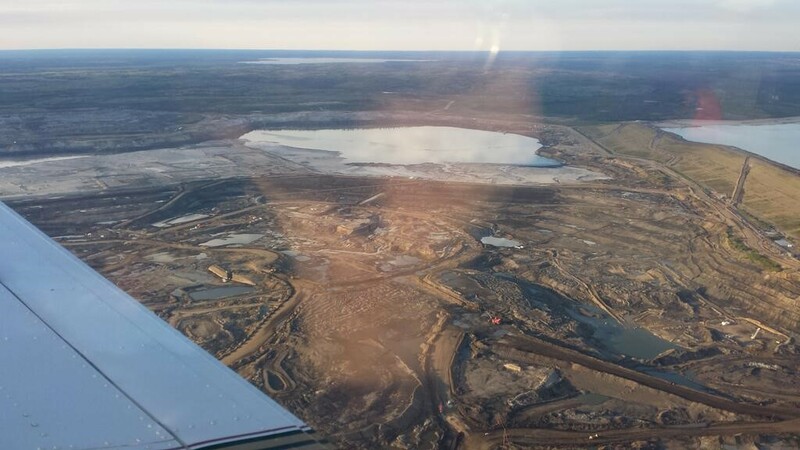 The Oil Sands are growing exponentially, with little regard for the environment and people downstream. Tailings ponds scattered across the Oil Sands. 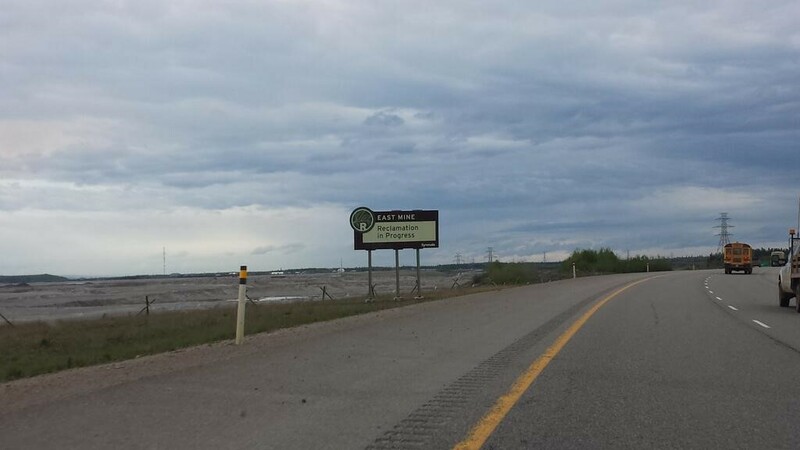 Most are elevated above the Athabasca River. When will we realize it’s time to slow down? The pace of this operation is unsustainable. Trucks the size of a two storey house are all but a speck on the land.